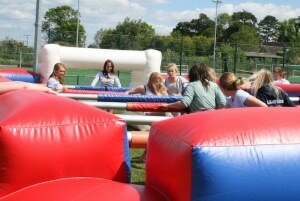 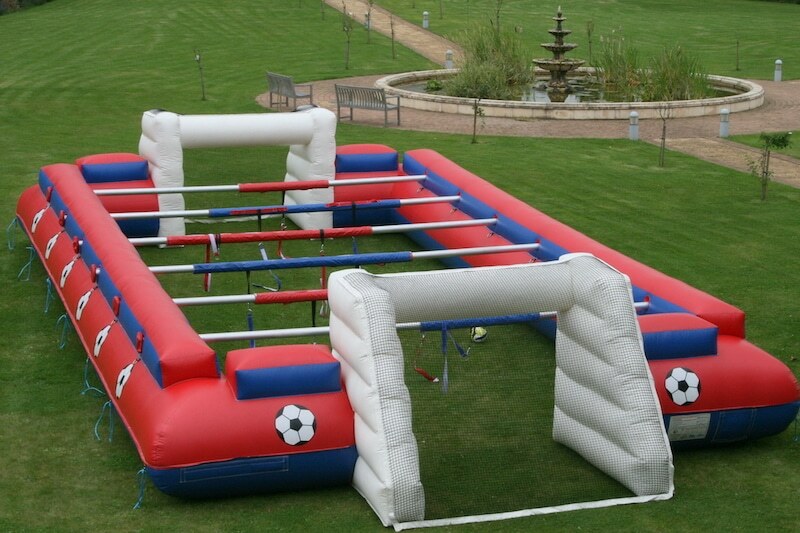 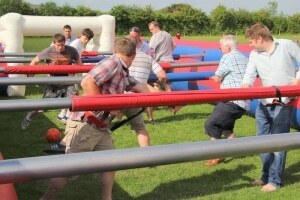 Human Table Football 2 is a fantastic version of the popular table game. It is fun, energetic and guaranteed to entertain spectators and competitors alike. 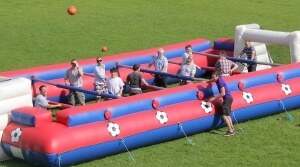 In teams of 5, players are attached to poles which allow them to move left and right only. 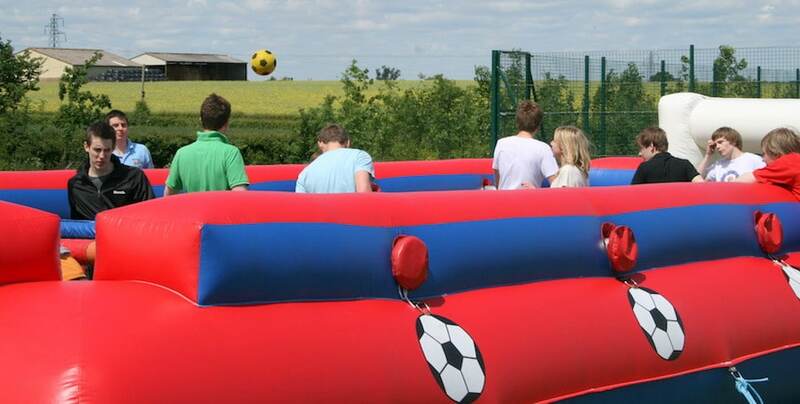 It promotes good teamwork because because teams must work together in order to score a goal and stay on their feet!